This cool attic master bedroom and bathroom are a nice example of chic modern décor where every details works for the space. 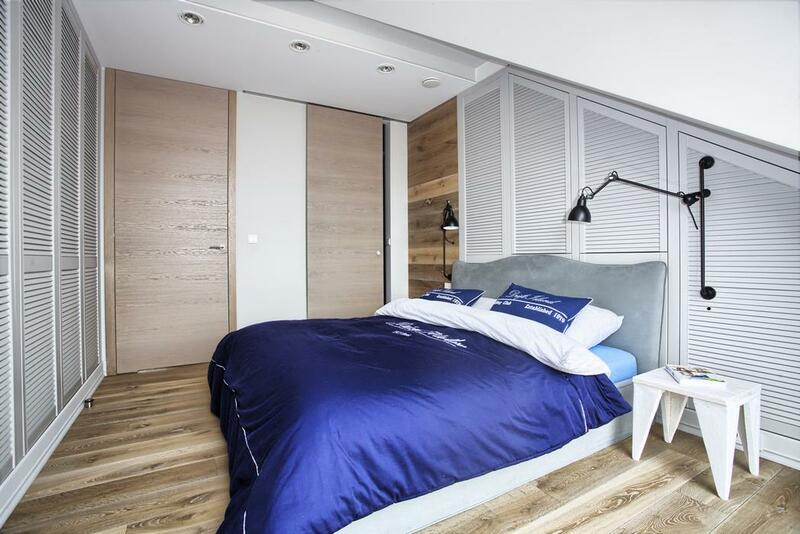 The color scheme is simple: blue, white and light-colored natural wood. Such a customized and difficult to decorate attic space is decorated to advantage. The room looks very uncluttered as there’s a big bed in the center and small stool-styled nightstands. All the rest of the room is covered with natural wood and white shutters, behind which there is storage space. The cabinets have interesting shutter-styled doors, and they look eye-catching and don’t make the room look bulky. The bathroom is also attic, it’s decorated in the same laconic modern style. 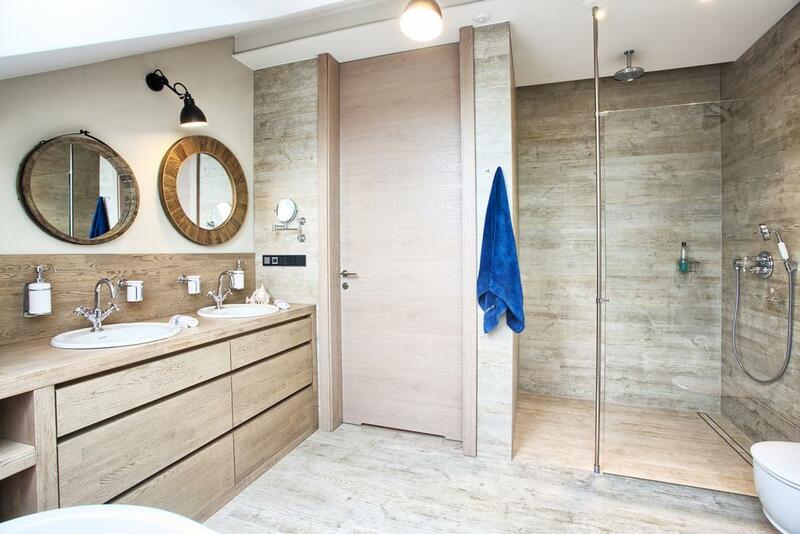 Most of the bathroom is covered with light-colored wood, this is a hot trend right now and it gives warmth to the space, even the mirror frames are clad with wood. 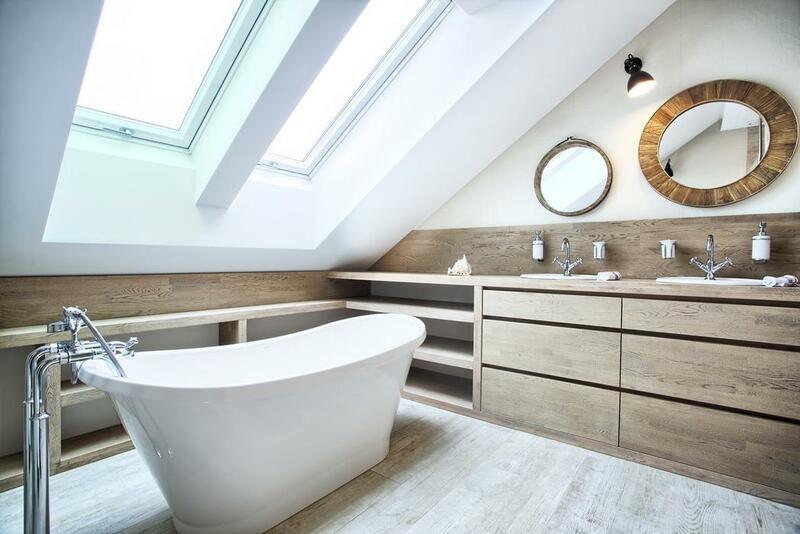 Large attic windows bring a lot of light in; there’s an elegant free-standing bathtub and a shower. The storage spaces are also done in the same uncluttered way: the space under the windows in used for open shelving, and there are wooden cabinets under the sinks. 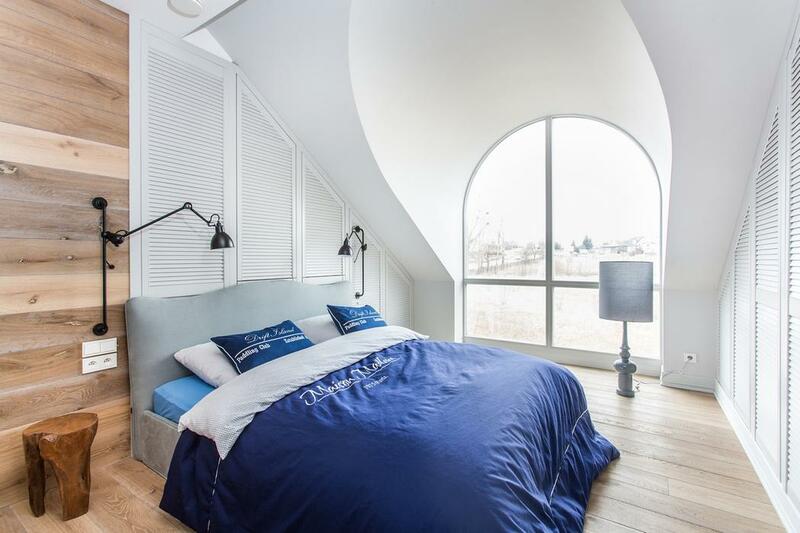 This is how an attic bedroom and bathroom may be decorated in a modern way using the attic space to advantage and making both space uncluttered and stylish.